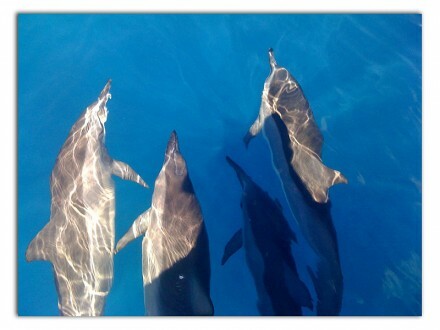 iPhone shot of dolphins swimming under the bow of the zodiac. Maui. A quick note to say hello. Kind of feeling guilty for being here and not dropping a line. We’ve been having an amazing time here -yesterday I spent the day in a zodiac off the coast of Lanai, a small island itself just off the coast of Maui. Snorkelling, underwater sea caves, incredible weather, and – most amazing of all a chance to swim, unexpectedly, among a pod of hundreds of spinner dolphins. Can’t begin to describe the magic of it. I’m paying for my indiscretions today, though. Clearly I the sunscreen I thought I was applying liberally wasn’t as liberal – or effective – as I thought. The festival kicked off last night with a reception, and this morning with a keynote. I spoke about Vision-Driven Photography and the need to discover and express our vision. Before that I spent three days relaxing, and chewing through Seth Godin’s book Linchpin which you should read. Run, don’t walk, to your local library or bookstore and get this book. My friend Sabrina Henry told me I needed to read Linchpin and I resisted because while Seth Godin is a scary-smart guy he kind of writes like a grade 12 student and I find it hard getting past his writing to the wisdom beneath. Not so with Linchpin; it’s still not particularly brilliant writing as far as craft goes but the content is incredible. It’s been a long time since a book got so much of my attention, marginalia, and circles and arrows. At it’s core, Linchpin is a discussion of the value of the artist in our culture, and the necessity of being an artist in this economy. 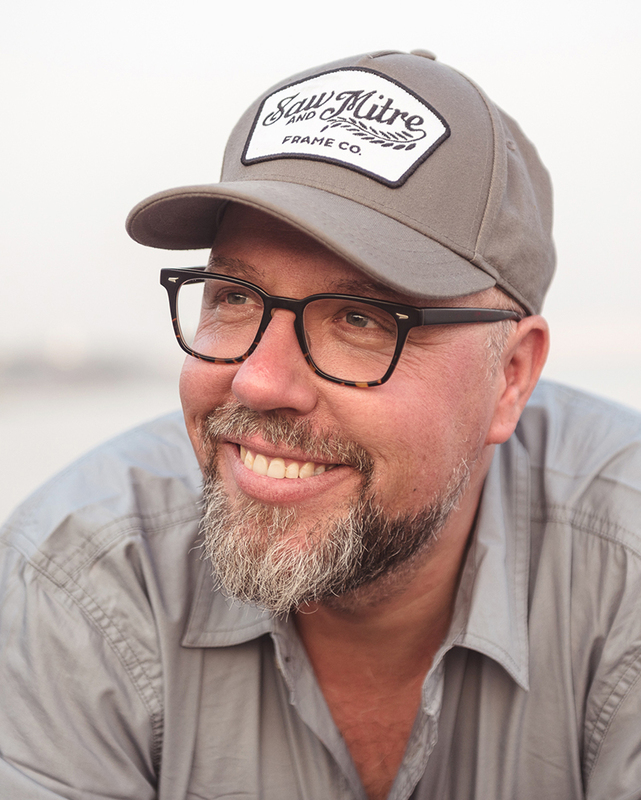 It’s got lots of brain food in it, and it connected some dots for me, but it’s also profoundly pragmatic – especially for those in the creative arts who think they have to be less unique, and blend into the crowd, to be a commodity rather than a brand, in order to make it. It also, and here’s a difference, has a deeply human side to it. Anyways, Linchpin really inspired me and with it Seth Godin moved in my thinking from marketing guy to join the likes of Hugh MacLeod (Ignore Everybody), Steven Pressfield (The War of Art), and writers like Anne Lamott whose combined voices all say that the hard work of art matters, that creation has value and that making a life and a living at this stuff is more likely the less we sell out. Anyways, love it here. If you’re here in Maui at the festival, please do introduce yourself to me. Corwin and I return to the mainland Monday morning and then the sprint to get ready for 6 weeks in Asia begins. I just can’t get past the fact that it’s Seth Godin. (ha) But it’s hard to resist your recommendation and review, not to mention the topic. Thanks for sharing your experiences David. Maui… must be rough. Been there once. Need to get back. Kauai is even more amazing, though a lot less night life. Colortrails – You aren’t far off, and all those criticisms hold true. The question for me is not, Is this is a great book? the question is, Can I get something out of it? Yes, there’s a lot of fluff, and yes, it’s got plenty of generalizations. But valuable for the insights, I think so. And for me, this one seemed to resonate powerfully. Others may not experience it the same way. Would be worth borrowing if you don’t want to buy – surely there are enough people out there with copies. Yeah, that tropic sun can sneak up on you, it’s incredibly strong. I lived in Hawaii for 12 years, use to go to the beach, put on 30 sunscreen and sit under an umbrella all day and still come home with color! Thanks for the posting! Hawaii is so easy to get awesome photos at! Almost halfway through vision mongers and it’s got me inspired again to keep going at my photography.. It’s also got me a big to do list!!! Thanks for following your dream and setting a path / guide book for others to follow! Still beating my path down now!!! Maui is a favorite for relaxing. I have to say I am part way through Vision & Voice and loving every word. You have such a wonderful way of putting things across. I have found some tools in Lightroom I wasn’t even using! I have nixed the idea of getting a software bundle. I am going to create my own vision and style. Thank you s much. Glad you’re having such a stellar experience on the Islands. I know about the dolphins – swam with them a couple times on Kealakekua Bay on the Big Island. It is an experience unlike any other 🙂 Aloha! Lanai aka Pineapple Island was beautiful as I recall. Time to go back to Hawaii! FYI: The iBookstore has Linchpin and provides a sample 40-page download copy for you to preview! Maybe I need to give Linchpin another shot. I tried to listen to it, and, Seth Godin chose to read it himself. I couldn’t get through it, partially due to the fact that he’s not the best narrator. Maybe I need to give it another chance in print. Mahalo for the book recommendation! I’m going to order a copy from Amazon! Really? Linchpin? I threw the copy I had into the recycling bin to be sure that no one else would be exposed to it. Linchpin is a horrible book. I think the reason some people find it good is that they want to be a Linchpin in their organization and know they are not (and probably will never be.) The book, like most self-help books, is designed to make people with very low self esteem feel better about themselves. Work hard and you too can be a Linchpin in your organization. Total dreck. If you want something that is actually worth investing your time in try, “The Act of Creation” by Arthur Koestler. Where I got the most from linchpin was in his recognition of the value of vision and individuality, of art over mere craft, and – though he doesn’t so much say it – of unique brands over commodities. I think the premise in the book – as cannibalised from better sources like Pressfield as it was – is a needful paradigm (among others) for artists and those who strive to be. But I’ve got enough time for Koestlet too, so I’ll look him up. David – you mention 6 weeks in Asia, are you on a workshop trip of any sort – Singapore? I read your stuff and would be great to catch you in-person. Sorry, Eric, not this time. I’m in Ladakh, India, then on Ko Samet, Thailand, and finally two weeks in Kathmandu. Brief stops at aiports in Hong Kong, Bangkok, and Delhi. David, you are going to photograph heaven – I know Vancouver is a beautiful city but I feel trapped to find inspiration these days. Maybe I will take my camera out to the PNE!! – although I would rather be in an ethnic market across the ocean. David, what a coincidence! I just bought that book today and started on the first 14 pages before I put it down (reluctantly). The last time I felt as excited about a book was when I managed to lay my hands on Within The Frame and a close second, Visionmongers. If I can ever place a finger on what started me on my photographic journey, it’s the former. You’re my biggest photographic hero so please keep doing what you’re doing. Hmmmm…Seth Godin is indeed a thought leader and has a way of boiling things down to the essence. Last January, before releasing LinchPin I read his ebook ‘What Matters Now’ (free copy at http://sethgodin.typepad.com/seths_blog/2009/12/what-matters-now-get-the-free-ebook.html). The ebook includes big thinkers’ ideas to think about in the new year from Tom Peters, Fred Wilson, Jackie Huba and Jason Fried, along with Gina Trapani, Bill Taylor, Alan Webber and ~60 others. More food for thought and the price is zero. But first I must read Vision & Voice (the postman just delivered my copy). Gotta keep the priorities right. Thanks for all your work David, both the vision and the voice your share is priceless. beautiful message about making a life and a living, David. Thank you.